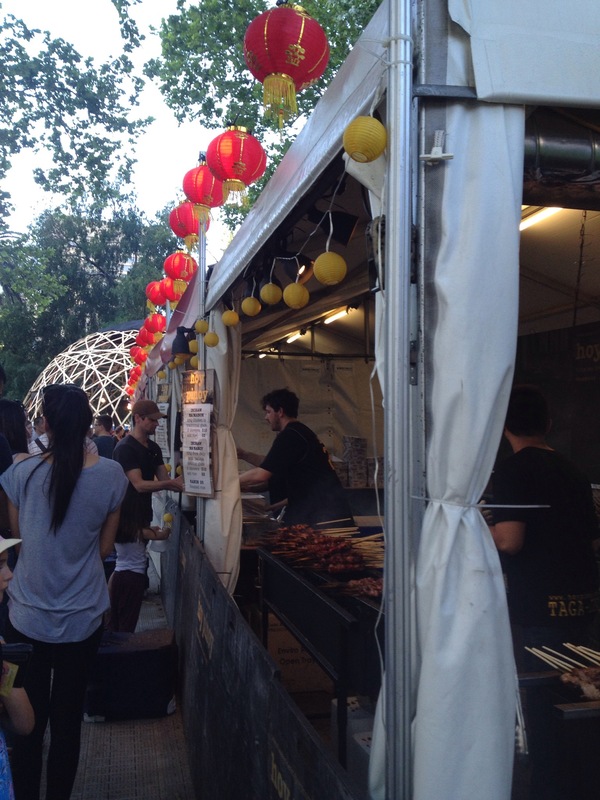 Two things on the menu in this stand in the Sydney Night Noodle Market: chicken or pork belly skewers with the choice of a side of rice. Deliciousness to your mouth. And with the efficiency of the service and distractions of tickles, long long line went pretty fast. Another reason to love Sydney in the spring. Que padre que estén en Primavera, aquí a pesar de ser otoño lleva 5 días lloviendo! !